Congress party chief Rahul Gandhi is promising voters a minimum basic income of sorts, on top of a pledge to waive farm loans across the country. That would blow a hole in the budget. With an election close, it also puts pressure on Narendra Modi’s government to respond in kind. 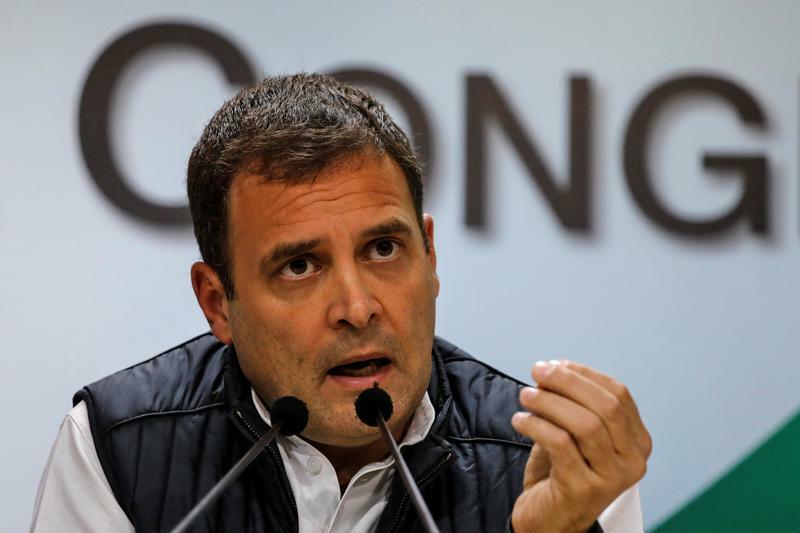 Rahul Gandhi, President of India's main opposition Congress party, speaks during a news conference at his party's headquarters in New Delhi, India, December 11, 2018. The leader of India’s main opposition party, Congress party president Rahul Gandhi, promised on Jan. 28 to provide the poor with a minimum income if Congress wins the upcoming general election, which must be held by May. Congress officials said the proposal would help to eliminate poverty and could be fulfilled with funds now spent on food subsidies and other programmes. “We have decided the every poor person in India would be guaranteed a minimum income after the Congress forms the government in 2019,” Gandhi told a farmers rally in the central state of Chhattisgarh. “No one will go hungry in India, no one will remain poor”, he added.